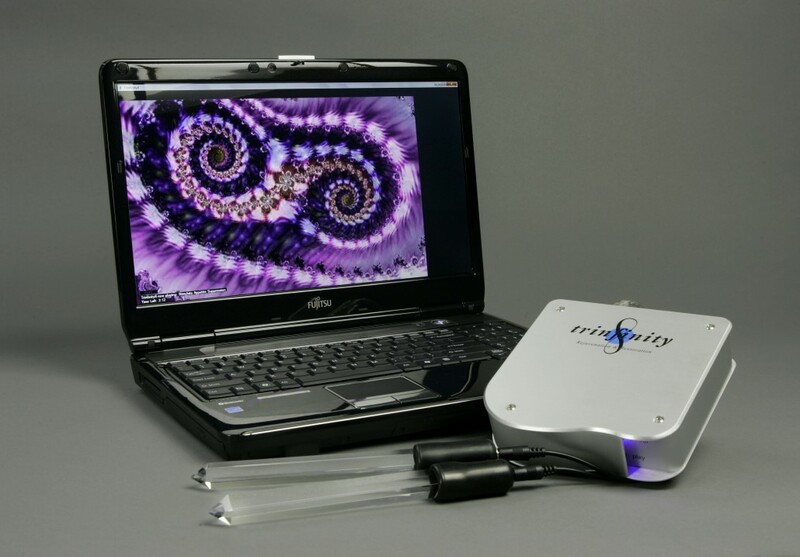 Trinfinity8’s unique technology allows for streams of coded data to be transmitted through your computer’s USB port. A digital translator device then sends information to the body via specially designed hand-held quartz crystal transmitter/receiver rods. These crystals have been carefully lab grown for clarity and perfection. Many Trinfnity8 users report feeling subtle energy effects during use such as hand tingling, skin hydration, warmth, and a deep meditative calm. The sessions are enjoyable and relaxing. When combined with the scalar enhanced system or any other spa treatment - it is enhanced with greater results and benefits.